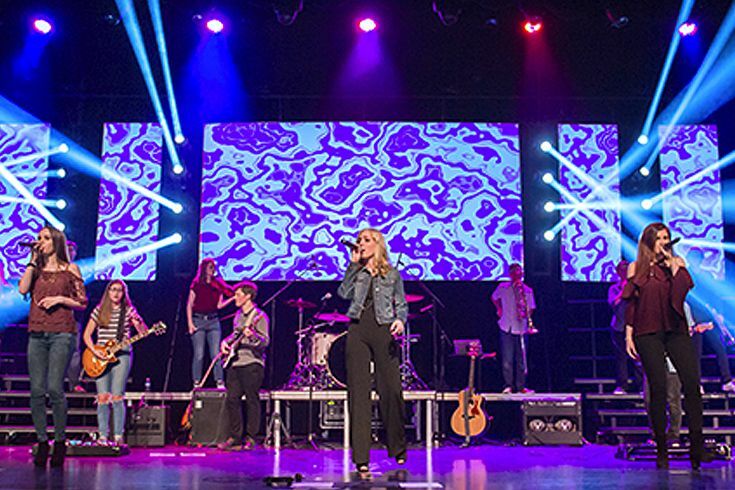 Teaching students how to play and make music is the driving force for the Briarcrest Christian School Instrumental Music Department. Our goal is to inspire, teach, and develop students to excel in music and to prepare them for future success in college and beyond. Developing the musicianship of the individual student is the foundation of our curriculum. The lessons and qualities derived from that work—the self-discipline needed for excellence, the empathy required of music making and the openness and inquisitiveness essential to creativity—are critical to achievement in any pursuit, musical or otherwise, and that music is a powerful catalyst for personal growth, which is central to any educational experience. The Mission of the Briarcrest Instrumental Music Program is to inspire, train, and develop students to excel in music and to prepare them for future success in college and in any career. Developing the musicianship of students is the foundation of our curriculum. We believe that the lessons and qualities derived from that work—the self-discipline needed for excellence, the empathy required of music making and the openness and inquisitiveness essential to creativity—are critical to achievement in any pursuit, musical or otherwise; and that music is a powerful catalyst for personal growth, which is central to any educational experience. With a goal of meeting and exceeding the national standards for music education, our comprehensive curriculum strives to be distinctly contemporary in its approach and embraces the principal musical movements of our culture. Through a course of practical and musical experiences, our curriculum will cover the variety of influential styles, relevant technologies, and college opportunities open to today's high school and middle school student. To define and refine the individual talents of every student by providing a broad array of musical opportunities through various ensemble settings, private lessons, competitions such as “All-West” and “Solo and Ensemble” as well as Marching and Concert Band Festivals. The foundation for this program will be cultivated on the individual level. Each student has a unique educational and social need. 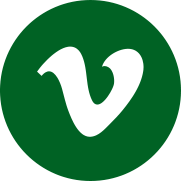 Our aim is meet those needs without exception. Through creative and innovative approaches to music education, our curriculum with address and meet the needs of all students from beginning band to graduation. Application of what is learned on the individual level will be achieved in ensemble settings. These ensembles/ bands will meet regularly throughout the week during school to rehearse. Performance outlets would include athletic games, seasonal concerts, national and international concert tours and festivals, individual and small group recitals, and school functions such as pep rallies. Michael Parsons, serves as the Director of Instrumental Music at Briarcrest Christian School. His responsibilities involve overseeing all instrumental music programs at Briarcrest Christian School. Mr. Parsons directs the Briarcrest Symphonic Band and Wind Ensemble, the “Mighty Sound of the Saints” Marching Band, Middle and High School Worship Bands, and two of Briarcrest’s premier commercial music ensembles, “SoundScape” and 76-South. Michael holds a Master’s of Music Degree in orchestral conducting along with a Bachelor’s of Music Degree in performance, both from the University of Memphis. In addition to classical music, Michael has had a very active career in commercial music, performing with artists such as Keith Urban, Booker T and the M.G’s, and with the national/ international touring band, Sound Fuzion. Michael has performed in China, Germany, Venezuela, Scotland and throughout the United States, including a performance at the prestigious Juilliard School in New York. Michael is an active member, clinician, guest speaker and published writer for various musical associations including the National Association for Music Education (NAfME), The TN Music Educators Association (TNMEA), The Recording Academy, and The West TN School Band and Orchestra Association (WTSBOA). In 2014, Michael was selected as one of “Memphis’ Finest Young Professionals” by the Cystic Fibrosis Foundation of Memphis and VIP Magazine. Most recently, Michael has been nominated for the 2017 Grammy Music Educator Award. Michael also serves as contemporary worship leader for Second Presbyterian Church. Tamatha Holt, Briarcrest’s Houston Levee Elementary music teacher, was formerly the Orff Music Specialist, String Orchestra Director and CAPA Chorus Director at Rozelle Creative and Performing Arts Elementary School. Mrs. Holt received formal training in music starting at the age of five on violin, eventually adding viola and piano. She received her Bachelor of Music degree from Louisiana State University, and a Masters of Music from Rutgers University. She is currently a professional musician and performs regularly in the Memphis community and surrounding regions. Mrs. Holt has performed with the Jackson, Tupelo, Paducah and Corinth Symphonies, and appears frequently in the orchestra for musicals at Playhouse on the Square, Circuit Playhouse, Theater Memphis and Hattiloo Theater. She has been an instructor and musical director for New Day Children’s Theater in Collierville, and the Summer Youth Conservatory through Playhouse on the Square. Mrs. Holt has toured with the Juenesses Musicale World Orchestra throughout Europe and Asia. She has also performed with such artists as Ray Charles, Yo-Yo Ma and Bobby McFerrin. Mrs. Holt is a member of the Tenebrae String Quartet, and is a music contractor through her own company, Serenade, Inc., which provides music for special occasions. 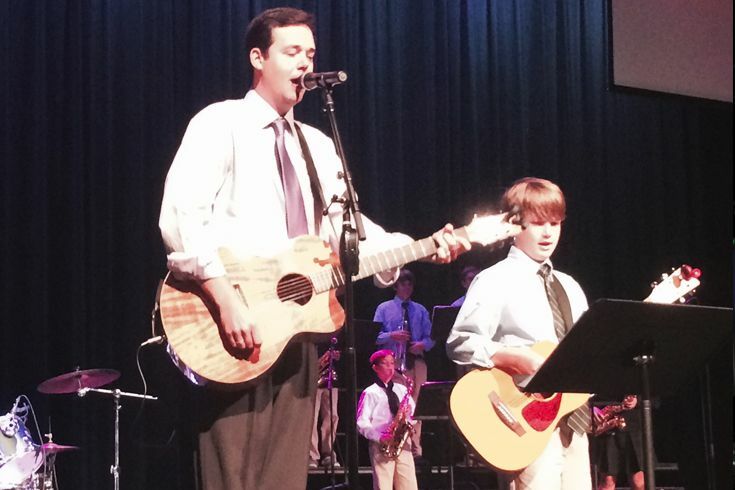 Briarcrest Christian School has a variety of Instrumental Music ensembles. 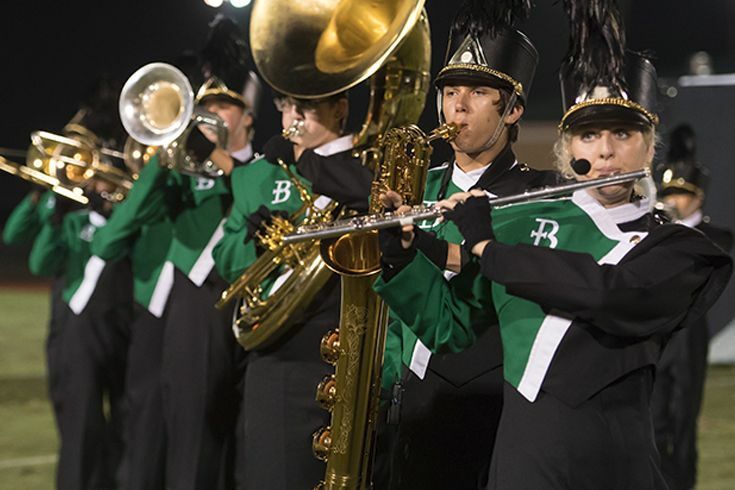 Whether it is the wave of a giant flag on the Colorguard squad, the exciting beat and rhythm of the Indoor Drumline or Percussion ensemble to the uplifting sounds of our Middle School and High School Praise Bands, Briarcrest has something for everyone interested in Instrumental Music ensembles. 76-South is Briarcrest’s intermediate commercial music and jazz ensemble. This group teaches its students various styles of popular and contemporary music including Pop, Rock, Rhythm & Blues, Jazz, Alternative and Country. In our Intermediate/ Advanced bands, 7th and 8th grade students sharpen their listening skills and musical expression, while continuing to become more proficient with sight reading and technical abilities. SoundScape is Briarcrest’s highly selective commercial music and jazz ensemble consisting of guitaris, keyboards, drums/ percussion, vocalists, a full horn section, and folks instruments such as fiddle and banjo. “The Mighty Sound of the Saints” Marching Band, one of the largest private school marching bands in the State of Tennessee, is a high-energy ensemble that performs for athletic events as well as in regional competitions. With a goal of being one of the finest high school ensembles in the Mid-South, the Briarcrest Symphonic Band and Wind Ensemble is comprised of 9th – 12th grade wind and percussion students. The Briarcrest Middle School Bands teach students the art of playing and making music. Our aim is to enable every student to fluently speak the language of music using traditional wind band instrumentation. In beginning band, students learn the fundamental techniques required to play an instrument of their choice. This includes learning basics in tone production, rhythms, and music theory (learning how to read and play music in various keys). The High School Praise Band is responsible for leading worship through music during Chapel. The ensemble consists of singers, drummers, guitarists, pianists, bass players, and other instrumentalists. 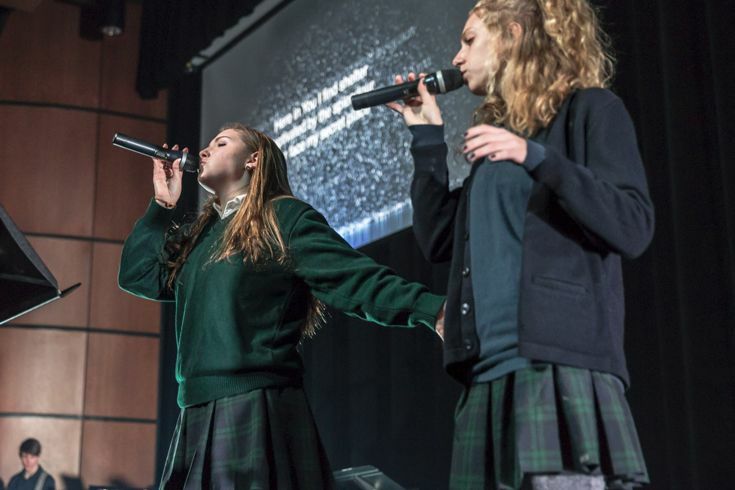 The Middle School Praise Band allows students to utilize their many talents in a contemporary music setting while also training them to be dynamic Christian leaders. Briarcrest High School and Middle School Bands would like to thank our corporate sponsors for their support.